When traveling, perhaps the best way observe, contemplate, retain, and share our often life-changing experiences is by keeping a journal. Chandler O’Leary has an extraordinary tendency to document her many travels in colorful, thoughtfully detailed illustrations. These images built up on her, tucked away inside journals that would only occasionally be opened to share with friends and family. Admiring the hole punches on her train ticket while riding into Boston. So she decided to launch a project, a travel blog to be specific. Chandler states that she has been working on this journal for “a very, very long time. 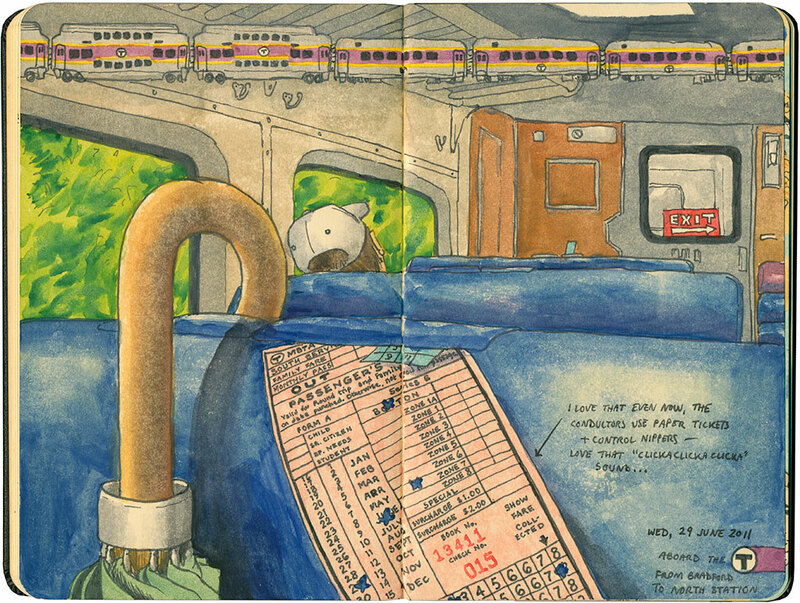 So long, in fact, that I didn’t know it was a “real” project until just a few months ago.” The blog, titled “Drawn the Road Again,” includes weekly postings of past journal entries (scanned images of the entire journal entry with the edges left showing). 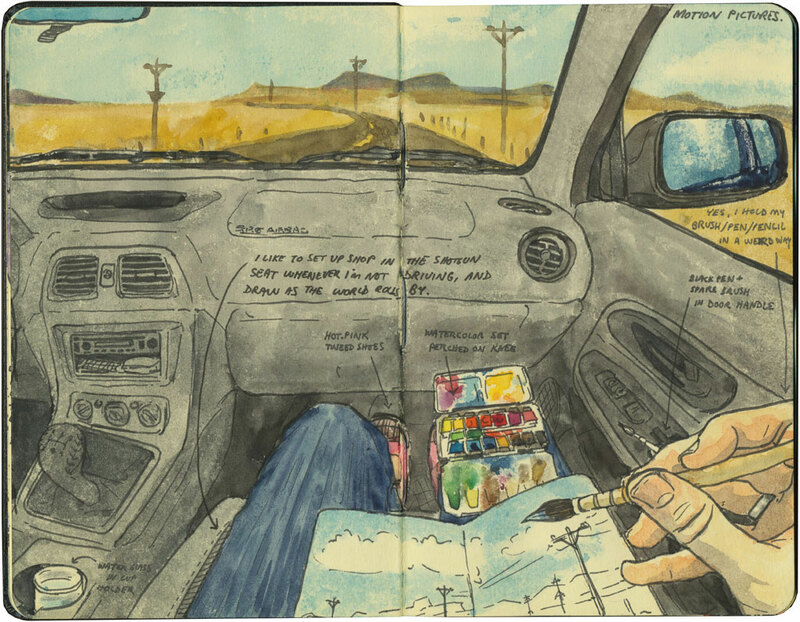 Her illustrations are often drawn from a first person perspective and the imagery bleeds right to the edge of the journal. This has a lovely effect of transporting your mind right into the setting. Documentation of Bear Grass and other plants in the native woods Chase Garden in Orting, WA. You can also keep up with the blog and see images of work in progress on facebook. Chandler O’Leary presented a time based installation titled “Hillside Sketchbook” in a 2012 Woolworth window exhibition. Her artwork, and sales of prints can be found at Anagram Press.